We’ve said quite a lot about smartphone theft here at wccftech. Smartphone theft is one of the unfortunate drawbacks of the advent of this technology. As your phones are able to do more, they also cost more. This leads to the misguided looking to make a couple of quick bucks a golden opportunity to cash in. When you loose your smartphone, not only do you incur financial losses but also put yourself at risk. Your phone undoubtedly contains sensitive data that anyone with malicious intent can use against you. Well, a safeguard for that is available. Well, its been available since last year and is called the Android Device Manager. With Android Device Manager, you can now easily protect your data with a few simple steps. Learn how to do that right here. To start, you’re going to need to activate the Android Device Manager on your smartphone. Doing that is relatively easy. 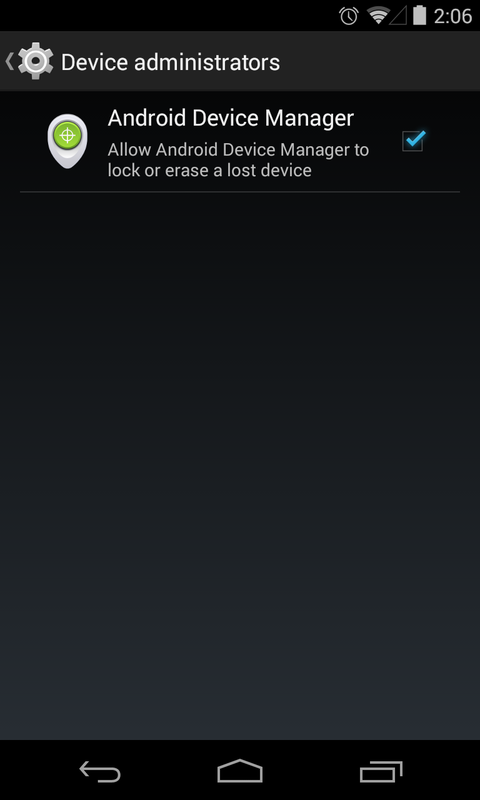 To activate Android Device Manager, go to the Setting Menu on your device. Open the Security menu next. Right at the bottom of the security menu, you will see an option saying ‘Device Administrators’. Open device administrators and you’ll see an option saying Android Device Manager. Check the box beside Android Device Manager. This will activate the feature on your smartphone. Now once you’ve activated Android Device Manager, you’re all set to remotely access your device in case it gets lost or stolen. You can do this by logging in Android Device Manager through your Google account. You can do that here. What Android Device Manager does is that it provides you with a variety of options in case your phone gets lost or stolen. Starting from the very basic. 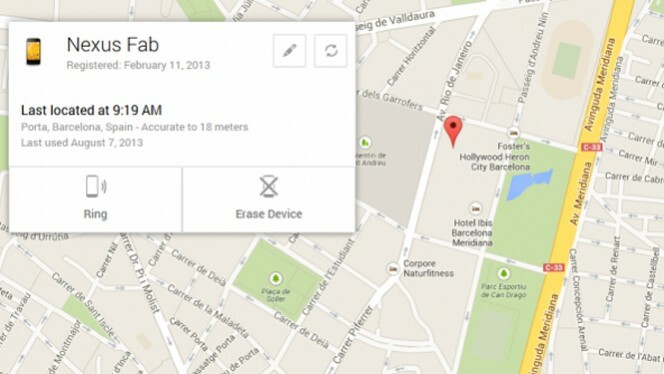 in case you loose your phone on a ‘night out’ or any other scenario, you can locate it through Android Device Manager. This of course only works if your device turns on, but at the rate things are going, pretty soon Google should come around with a workaround to that too.This works as long as your phone is connected to any network through a SIM card or even through Wi-Fi. Android Device Manager also lets you ring your device on full volume for a full five minutes. Helpful in case you’ve misplaced it. This Nexus Fab Was Found In Spain. Go Figure. Now coming towards the worst. Your smartphone just got stolen and there seems no way that you can get it back. Well worry not, Android Device Manager is there at your service. It provides with several options. First of these lets you replace your current lock screen password with another one. Just in case. It also lets you add a message to your homescreen with a message and a phone number to contact you. So in case the would be thief has a crisis of conscience, he’ll know what the right thing to do is. Our advice: Don’t set the message to ‘Do the right thing’. It might mean something else for him/her entirely. However, if that doesn’t happen, Android Device Manager will make sure he/she doesn’t get access to any of data. 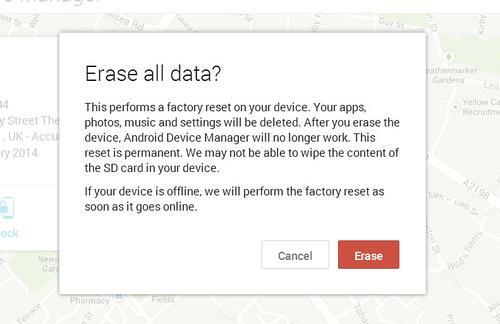 The app lets you perform a complete factory reset of your phone. This wipes all data stored on the device. 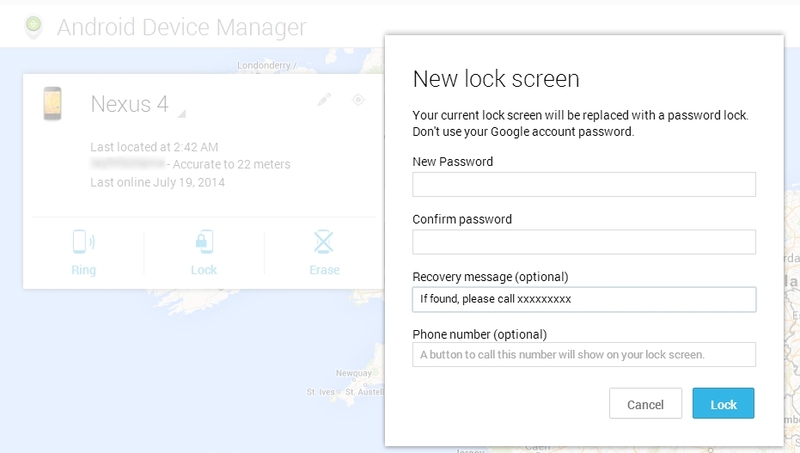 You won’t be able to use Android Device Manager with the said device any more though. So make sure this is a worst case scenario option. Oh and don’t store any sensitive information on SD cards either. Sadly, Android Device Manager doesn’t let you wipe that. Lets hope Google fixes this.